4. The push-pull pressure shift stepless speed regulation system adjusts the push-pull pressure according to different working conditions, fast and convenient, which also can protect the drill pipe thread from being damaged. 5. 45 ° rotating cabin can be realized, which make the tractor driver in driving indoor observe the vice action more conveniently. At the meantime, it improves the interior assembly and increases the radio audio and USB port and improve operation comfort. 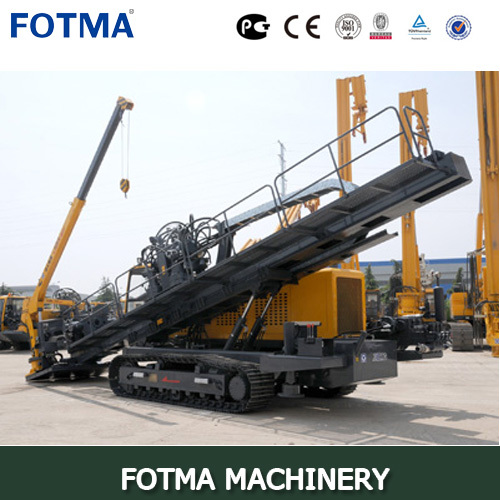 XZ680A HDD drilling machine is one-piece full load type design, which adopt the hydraulic pilot control and load sensitive control and a number of advanced control technology and the company's proprietary technology. The main performance parameters and control technology has reached the domestic advanced level. 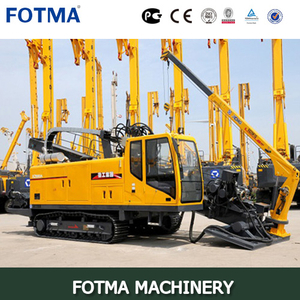 Hydraulic system, transmission system, reducer, electric control system and other main components choose the brand name products at home and abroad. The quality is reliable. Using steel tracks, South Korea Tongmyong walking speed reducer, traction, venue adaptable, stable and reliable performance. The Dongfeng Cummins engine inter-cooled turbocharged. Emissions meet the emission standards II and electronically- control throttle. 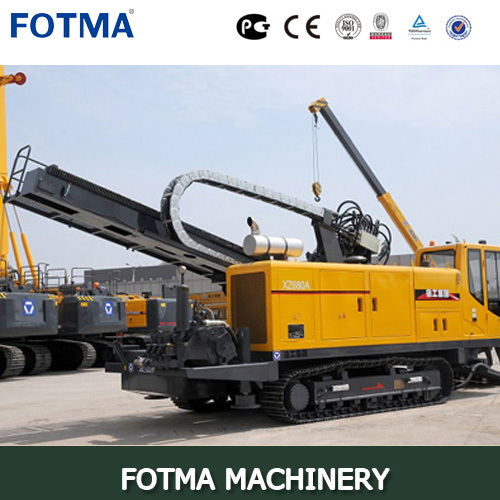 Using the load sensitive control, constant power system, pressure to cut off, the electro-hydraulic proportional control and several advanced control technologies. The imported components, which is reliable in quality. Push and pull a drill through the gear rack and complete. Power head spindle floating device effectively protect drill pipe thread. Variable motor can achieve high-speed push and pull. Push pull size can be adjusted according to the requirements of the construction, the protection of the drill pipe. 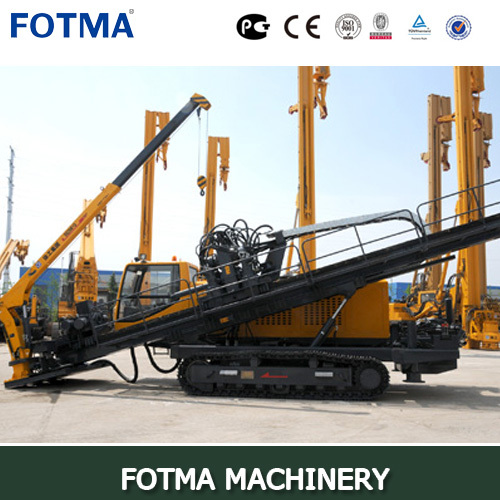 In view of the horizontal directional drilling construction technology, the application of advanced intelligent control technology, CAN bus technology, using imported high reliability of the controller. To optimize the display in the instrument location, use the larger instrument, easy to observe. Walking wire control can realize stepless speed regulation, safe and convenient operation. High strength alloy steel drill stand and slide drilling. Angle adjustment is convenient. Rig is equipped with powerful shackle vise. Front and rear vice are relatively easy- slip. It is easy to replace canine teeth of maintenance. For construction of Hengyang slurry pump equipped with mud and slurry, which guarantee the construction smoothly. There are four adjustable gear speed which can also be adjusted the flow of the slurry pump and provide better operating experience. 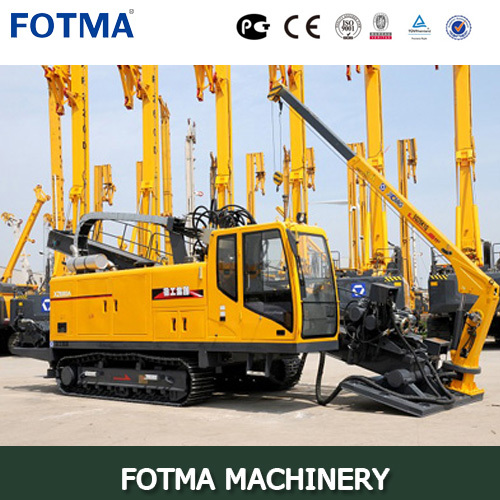 Rotating control cab, adjustable seats, equipped with air conditioning, greatly improved the operation comfort level of drilling rig, interior lights, windshield wipers, the front glass can be doubled.